Mr. Bale was born in Houston, Texas. He attended the University of Houston-Downtown where he received a Bachelor of Arts degree in Communications in May 2009. With a background in property and casualty insurance, Mr. Bale first joined the firm as a paralegal in 2011 to assist with a complex anchor drag case styled, Williams Field Services Gulf Coast Company, L.P. vs. Mariner Energy Inc. et al. It was Mr. Bale’s involvement in this case that sparked his interest in attending law school. Mr. Bale was accepted into South Texas College of Law in the Spring of 2012 where he competed in mock trial and appellate advocacy tournaments. 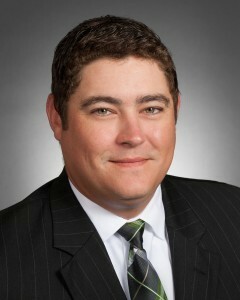 He stayed on with the firm as a law clerk during his time at South Texas while attending school full-time. Mr. Bale graduated with a Doctorate of Jurisprudence from South Texas College of Law in December of 2014. Mr. Bale was admitted to the Texas Bar in February of 2015. His practice focuses on civil litigation, with a particular emphasis in the fields of admiralty and maritime law, insurance, and personal injury defense. Mr. Bale is licensed to practice law in the Eastern and Southern Districts of Texas and all courts of the State of Texas. He is a member of the State Bar of Texas, the Texas Young Lawyers Association, Houston Bar Association, Fort Bend County Bar Association, Texas Association of Defense Counsel, the Maritime Law Association of the United States, Houston Mariners Club, and the Defense Research Institute.